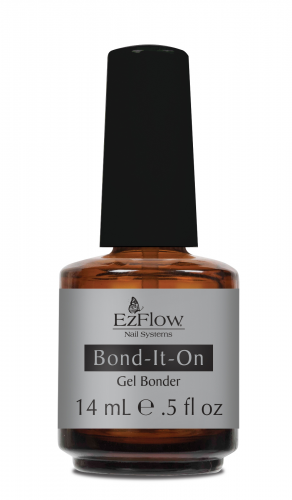 EzFlow Bond It On does exactly that, it bonds to the natural nail and gel base coat for superior adhesion and a longer lasting manicure, simple. The new and improved shorter brush reduces wastage and ensures accuracy. Air dry alone, no need to cure.